Kensington Publishing Corporation, 9780758274977, 314pp. "In matters of courage, there is no bigger dog than me "
P.I. 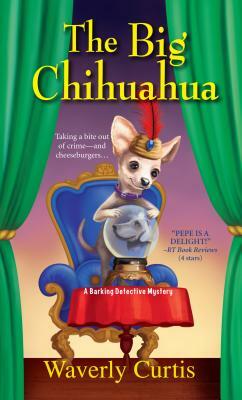 Geri Sullivan and her talking Chihuahua, Pepe, are always hungry to sink their teeth into a new case. So if helping a hapless husband win back his wayward wife means sneaking into a cult of dog-worshippers, porque no? Inside the believers' rural retreat, Pepe perks up his ears when the charismatic leader pegs him as the next incarnation of the spirit Dogawanda. But the discovery of a body, murdered between mantras, suggests there's more chicanery than channeling going on in this suspicious sect. While wild wolves howl, a killer is on the prowl--and it's up to Geri and her canine compadre to dig up the dirt. "I look forward to Pepe's next adventure " --Bernadette Pajer, author of "A Spark of Death"
Help Support Pet Adoption See Details Inside.